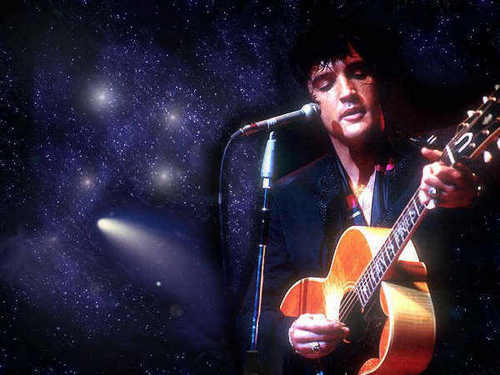 Into the Universe. . Wallpaper and background images in the Elvis Presley club tagged: elvis presley. This Elvis Presley fan art contains guitarist, guitar player, and concert.